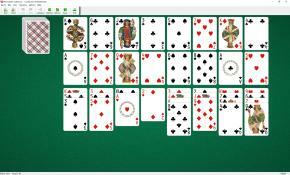 Constitution Solitaire uses 104 cards (2 decks). 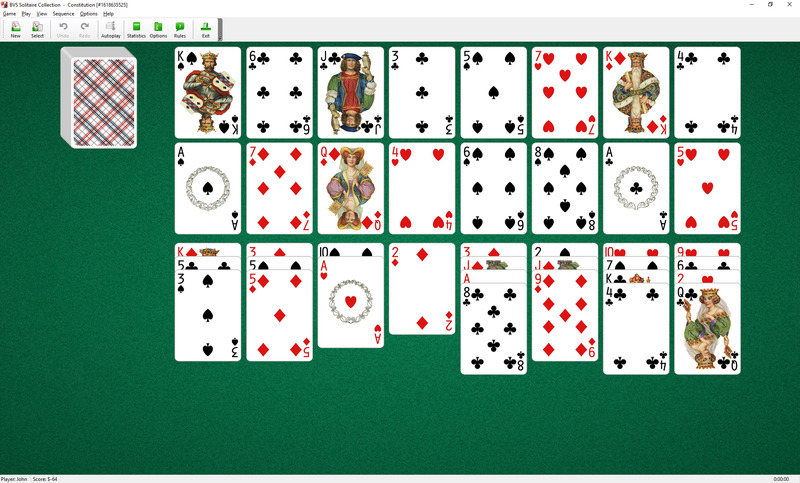 8 cards (top) are the start row. There is a space for 8 foundations below the start row. The next 8 cards (tableau piles) are placed below the foundations. Cards of rank one point lower than corresponding cards from the start row are moved from tableau piles to the foundations. Then the next row of 8 cards is dealt to tableau piles and the whole procedure repeats until all the foundations are filled with starting cards. You should build foundations up regardless of suit. Only the top card of each tableau pile is available for play on the foundations. You cannot move cards between tableau piles. Constitution is very similar to Simple.